In the past year, al-Mabhouh had moved to the top of Mossad’s list of targets, each of which must be legally approved under guidelines laid down over half a century ago by Meir Amit, the most innovative and ruthless director-general of the service. Born in Tiberius, King Herod’s favourite city, Amit had established the rules for assassination. I first met Amit in 2001 and through him, I talked to the spies of Mossad, the katsas, and finally, to the assassins, the kidon, who take their name from the Hebrew word for bayonet. They helped me write the only book approved by Mossad, Gideon’s Spies. Amit said the book “tells like it was – and like it is”. Amit showed me a copy of those rules at our first meeting. After two years of training in the Mossad academy at Herzlia near Tel Aviv, each recruit to the kidon is given a copy. The killing in Dubai is a classic example of how Mossad goes about its work. Al-Mabhouh’s 11 assassins had been chosen from the 48 current kidon, six of whom are women. It has yet to be established how al-Mabhouh was killed, but kidon‘s preference is strangling with wire, a well-placed car bomb, an electric shock or one of the poisons created by Mossad scientists at their headquarters in a Tel Aviv suburb. The plan to assassinate Mahmoud al-Mabhouh had been finalised in a small conference room next to the office of Meir Dagan, who has run Mossad for the past eight years. The 10th director-general, Dagan has a reputation as a man who would not hesitate to walk into a nameless Arab alley with no more than a handgun in his pocket. Mahmoud al-Mabhouh’s name had been on such a document, which would have been signed by Benyamin Netanyahu. That, like every aspect of a kidon operation, would be firmly denied by a government spokesman, were he to be asked. This has not stopped Dubai’s police chief, Lt-General Tamin, from fulminating against the Israeli prime minister. Mossad psychiatrists, psychologists, behavioural scientists, psychoanalysts and profilers – collectively known as the “specialists” – were told to decide the best way to kill Mughniyeh. At Mughniyeh’s funeral in Beirut, his mother, Um-Imad, sat among a sea of black chadors, a sombre old woman, who wailed that her son had planned to visit her on the day after he died. She cried out she had no photograph to remember him by. Two days later she received a packet. Inside was his photograph. It had been posted in Haifa. The list of kidon assassinations is long and stretches far beyond the Arab world. In their base deep in the Negev Desert – the sand broken only by a distant view of Israel’s nuclear facility at Dimona – the kidon practise with a variety of handguns, learn how to conceal bombs, administer a lethal injection in a crowd and make a killing look accidental. They review famous assassinations – the shooting of John F Kennedy, for example – and study the faces and habits of potential targets whose details are stored on their highly restricted computers. There, too, are thousands of constantly updated street plans downloaded from Google Earth. 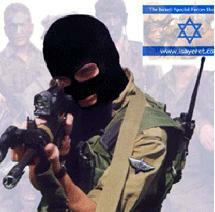 Mossad is one of the world’s smallest intelligence services. But it has a back-up system no other outfit can match. The system is known as sayanim, a derivative of the Hebrew word lesayeah, meaning to help. Created by Meir Amit, the role of the sayanim is a striking example of the cohesiveness of the world Jewish community. In practical terms, a sayan who runs a car rental agency will provide a kidon with a vehicle on a no-questions basis. An estate agent sayan will provide a building for surveillance. A bank manager sayan will provide funds at any time of day or night, and a sayan doctor provides medical assistance. Any of these helpers could have been involved in the assassination of Mahmoud al-Mabhouh. Mossad has recently expanded its network of sayanim into Arab countries. A sayan doctor in the West Bank provided details of the homoeopathic concoction Yasser Arafat used to drink. When he died in 2004, his personal physician, Dr al-Kurdi, said “poisoning is a strong possibility in this case”.There have been reports that more than a dozen terrorists have died from poisoning in the past five years,. Within the global intelligence community, respect for Mossad grew following the kidon assassination of Dr Gerald Bull, the Canadian scientist who was probably the world’s greatest expert on gun-barrel ballistics. Israel had made several attempts to buy his expertise. Each time, Bull had made clear his dislike for the Jewish state. Instead he had offered his services to Saddam Hussein, to build a super-gun capable of launching shells containing nuclear, chemical or biological warheads directly from Iraq into Israel. Saddam had ordered three of the weapons at a cost of $20 million. Bull was retained as a consultant for a fee of $1 million. On the afternoon of March 20, 1990, the sanction to kill Bull was given by the then prime minister, Yitzhak Shamir. Nahum Admoni, the head of Mossad, sent a three-man team to Brussels, where Bull lived in a luxury apartment block. Each kidon carried a handgun in a holster under his jacket. When the 61-year-old Bull answered the doorbell of his home, he was shot five times in the head and the neck, each kidon firing their 7.65 pistol in turn, leaving Bull dead on his doorstep. An hour later they were out of the country on a flight to Tel Aviv. Within hours, Mossad’s own department of psychological warfare had arranged with sayanim in the European media to leak stories that Bull had been shot by Saddam’s hit squad because he had planned to renege on their deal. The same tactics had been placed on stand-by on October 24, 1995, for the assassination of Fathi Shkaki who, like Mahmoud al-Mabhouh, had reached the top of Mossad’s target list as a result of his terrorist attacks. Two kidon – code-named Gil and Ran – had left Tel Aviv on separate flights. Ran flew to Athens, Gil to Rome. At each airport they collected new British passports from a local sayan. The two men arrived in Malta on a late-afternoon flight and checked into the Diplomat Hotel overlooking Valetta harbour. That evening, a sayan delivered a motorcycle to Ran. He told hotel staff that he planned to use it to tour the island. At the same time, a freighter that had sailed the previous day from Haifa bound for Italy radioed to the Maltese harbour authorities that it had developed engine trouble. While it was fixed, it would drop anchor off the island. On board the boat was a small team of Mossad communications technicians. They established a link with a radio in Gil’s suitcase. Shkaki had arrived by ferry from Tripoli, Libya, where he had been discussing with Colonel Gadaffi what Mossad was convinced was a terrorist attack. The two kidon waited for him to stroll along the waterfront. Ran and Gil drove up on the motorcycle and Gil shot Fathi Shkaki six times in the head. It had become a kidon signature. When the police came to search Shkaki’s bedroom they found a “Do not disturb” sign on his door – a signature that was repeated in last month’s Dubai killing. Gordon Thomas is the author of ‘Gideon’s Spies’.